Sometimes we must do things because it’s RIGHT to do. Even if we WANT TO or NOT!!! It’ll GROW US UP IN CHARACTER. 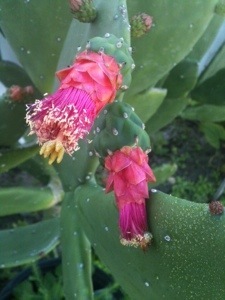 It’s a beautiful flower developing from a prickly cactus. I AM FINALLY……………CAN YOU GUESS?? ?